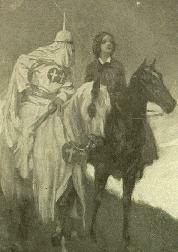 Thomas Dixon, 1864-1946 and Arthur I. Keller (Arthur Ignatius), 1866-1924, illustrated by The Clansman: An Historical Romance of the Ku Klux Klan. Ku-Klux Klan (1866-1869) -- Fiction. United States -- Social conditions -- To 1865 -- Fiction.